An adjective designates an attribute (big, little, angry, sweet, etc.) that then modifies or describes a noun ("a holy terror," "an honest politician," "a compassionate conservative"). In addition to such "ordinary" forms, English can construct adjectives from present or past participles. In the case of the present participles, the constructed adjective indicates the activity being performed by the noun: "a babbling brook," "a running dog of capitalism," "a weeping willow." As these examples show, the present participle is normally formed by adding -ing to the infinitive. Past participles that are used as adjectives normally indicate an activity that affects the modified noun: "an expressed opinion," "a renovated car," "a forgotten principle." As these examples indicate, a past participle is normally formed by adding -ed (or some variant) to the infinitive form of a weak (regular) verb or an -en (or some variant) to a strong (irregular) verb. In a limited way, English permits some extension of this modifier (with, or sometimes without, a hyphen), so that we can talk about "a little-known fact," "a long-awaited response," "his yet-to-be-written book," "a soon-to-be-forgotten boyfriend," "a back-stabbing boot-licker," "The English-Speaking Peoples' Union, or " her often-missing husband." Longer extensions, however, are not standard and at best lead to comical formulations. The basketball-player Darryl (Chocolate Thunder) Dawkins used this to effect when assigning names to his spectacular dunks. After dunking over Bill Robinzine and smashing the glass backboard in the process, he called that action The Chocolate-Thunder-Flying, Glass-Flying, Robinzine-Crying, Babies-Crying, Glass-Still-Flying, Cats-Crying, Rump-Roasting, Bun-Toasting, Thank You-Wham-Bam-I-Am-Jam. 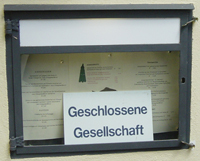 It is possible to create participial adjectives in German, as well. In a mansard in this house at the beginning of 1928, the Comedian Harmonists were founded at the initiative of Harry Frommermann, mit Robert Biberti, Erwin Bootz, Erich Collin, Roman Cycowski, and 'Ari' Leschnikoff. The world-famous vocal ensemble was broken up in 1935 by the forced emigration of the three Jewish members. A literal translation might read: "the just now at Platform 2 arriving train," which is of course not a permitted structure. Rather, we need to turn to a relative clause: "the train that is just now arriving at Platform 2." To translate that phrase, one could finesse the werdende: "as the friend complained during his increasingly infrequent visits". But here, too, a relative clause might be called for: "as the friend complained during his visits, which were becoming increasingly infrequent." Here Body Esthetics [name of a firm] offers a convenient alternative to the surgical removal of tattoos. Tattoos can be removed particularly gently, without scarring, with the help of this laser, which was especially developed for the purpose. Ein einmal in der Schule auswendig gelerntes Gedicht vergisst man schnell. A poem that was memorized once in school is soon forgotten. Die Ärztin konnte dem alten, schon seit Jahren an Rheumatismus leidenden Mann endlich helfen. 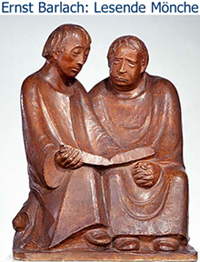 The doctor was able to help the old man who had already been suffering from rheumatism for years. A character that has grown flaccid and bent from nature or through intellectual servitude, learned luxury and vanity will never raise itself to idealism. A teacher violates her official obligations that have been imposed by the laws on education when she wears a headscarf for recognizably religious reasons. Of matter's inertia, this quality that more than any other works against the dance, they know nothing. "Er hatte gerade einen Brief an einen sich im Ausland befindenden Jugendfreund beendet." He had just finished a letter to a friend from his youth who was living abroad. In the house next door, Am Kupfergraben 4a, which was destroyed in WWII, Georg Wilhelm Friedrich Hegel lived from 1818-1831. 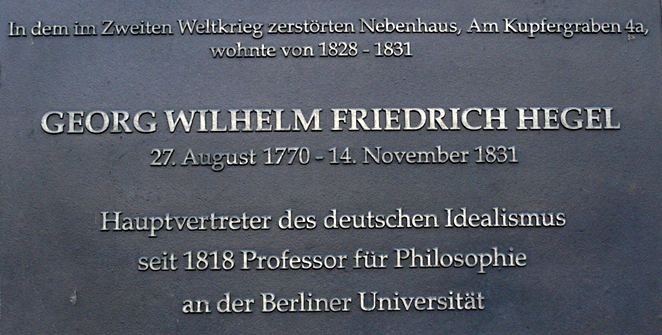 The main representative of German Idealism from 1818 Professor of Philosophy at the University of Berlin. Er war ein leider viel zu früh gestorbener Komponist. He was a composer who unfortunately died much too early. Lässt sich hart gewordenes Marzipan noch verarbeiten? Can marzipan that has gotten hard still be worked with? Sie ist eine durch Diät und Fitnesstraining jung gebliebene Frau. She is a woman who has stayed young through diet and exercise. Es gibt noch ein paar offen gebliebene Fragen. There are still a few questions that have remained open. Der Einsatz aktiver und gewesener Politiker für private Interessen wird zusehends dreister. The employment of active and previously active politicians for private interests is becoming noticeably more brazen. Answer-Library: The largest collection to be found on the internet of frequently-heard attacks and the snappiest answers to them. Dieses nicht leicht zu lösende Problem können wir heute nicht besprechen. Today we cannot discuss this problem, which is not easily resolved. Dieses allerdings gehörte schon zu den vom Hungern überhaupt nicht zu trennenden Verdächtigungen [from Kafka's Ein Hungerkünstler]. This belonged, however, to the suspicions that were not to be separated from the profession of fasting. Die später für die Atomforschung so wichtige Entdeckung blieb zuerst unbeachtet. This discovery, which would later be so important for atomic research, remained at first unnoticed. Obstacles that are discernible too late; Drivers are not liable in an accident. Drivers are not liable when obstacles on the autobahn are discernible too late. Someone, for example, who fails to see a tire lying on the autobahn in the dark until it is too late and causes an accident, does not have to pay damages. 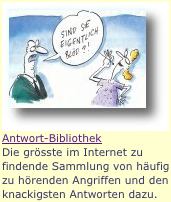 1 From a decision of the Upper Administrative Court in Stuttgart (see the illustration at the top of this page). 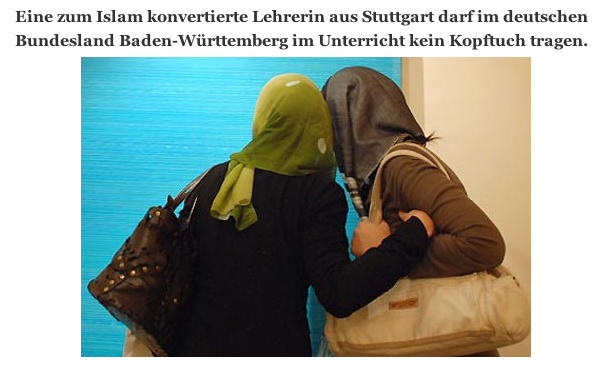 2 This example, taken from Der Spiegel, was posted by Mark Liberman, along with the translation that follows.